Extrude: Creates a new set of mesh connected to the selection that can then be manipulated. Bridge: Creates a face connecting two selected edges. Connect: Creates a bridging edge between two vertices. Reset X Form: Removes all Rotation and Scale values from selected objects and places those transforms in an X Form modifier. Bevel: Adds thickness to a selection of edges. Convert to Poly: Turns objects into an editable polygon. Delete Selection: Removes whatever is selected. I have used 3DS Max on a daily basis for almost 10 years now and I took an interest in MAXScript almost immediately. The learning process was slow but I was able to pick the brains of my very talented colleagues. I began by studying 3ds Max’s ‘Listener’ and with time and confidence I tentatively created short scripts of my own. 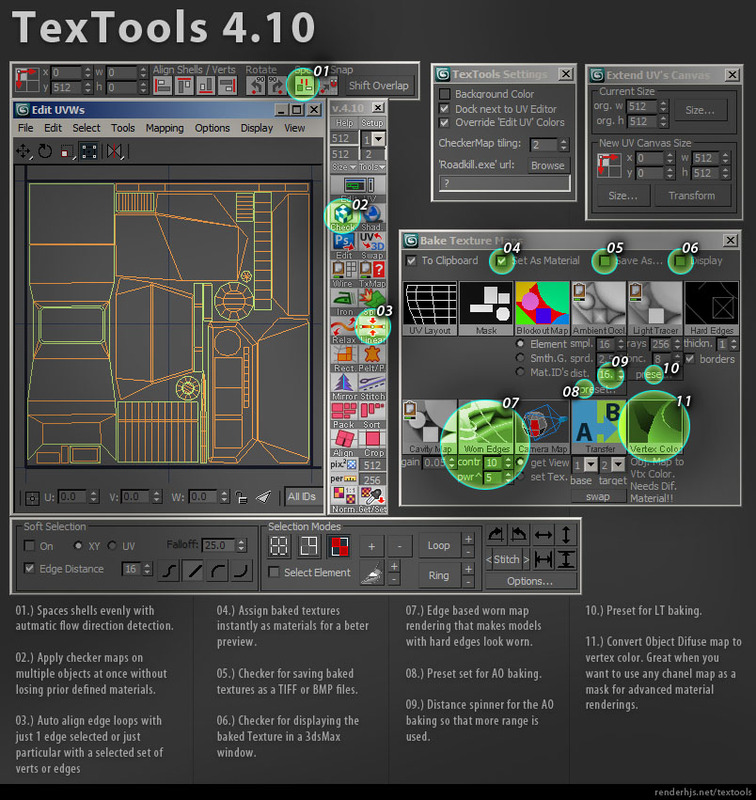 Many years later, and with a lot of help from my friends, I am in the fortunate position of being able to create my very own 3ds Max tools. Most of my scripts are workflow improvements in an effort to avoid repetitive tasks. With any luck, they may save you some time too. I figured since i got a huge number of functions flying around on my drives that i'd put the most useful into a struct and put it online somewhere so people who might need something don't have to reinvent the wheel.